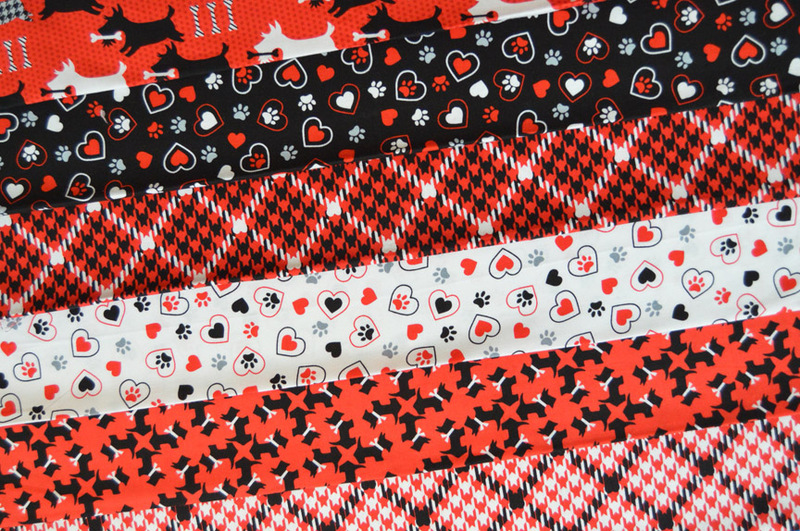 Our Scottie Love collection was so popular that we couldn't resist coming out with more Scotty dog fun! 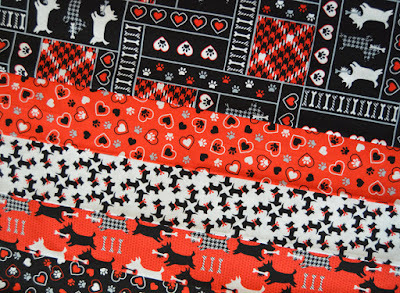 Here's Scottish Charm from Kanvas Studio, starring those are adorable dogs in black, white, and red. 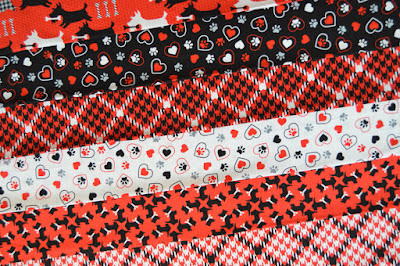 We've added in a couple cool houndstooth plaids, hearts and paw prints (of course! 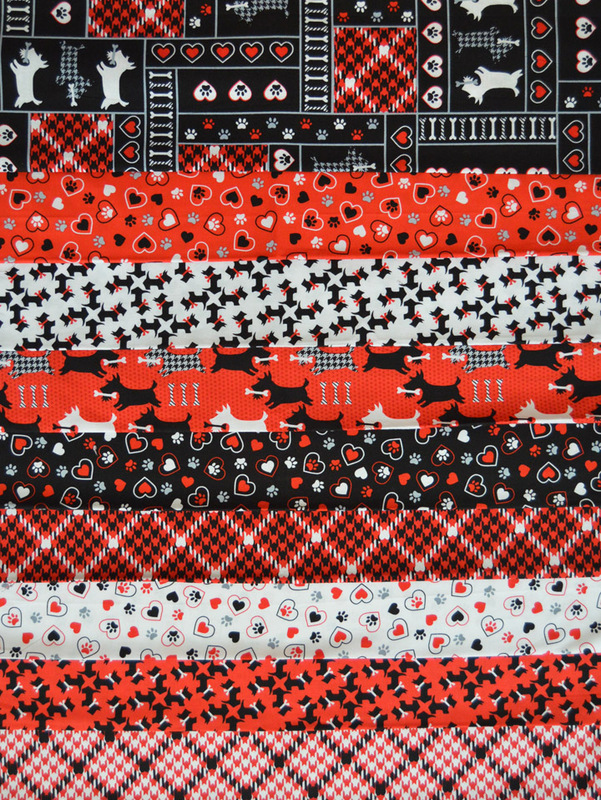 ), and our favorite, a fun overall patchwork design. 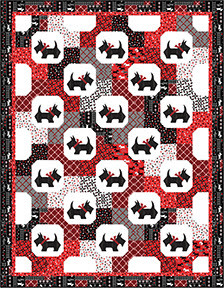 If you love Scotty dogs, you'll adore the Scotty Dogs free quilt pattern from Tailormade by Design! Click here to see the entire Scottish Charm collection. 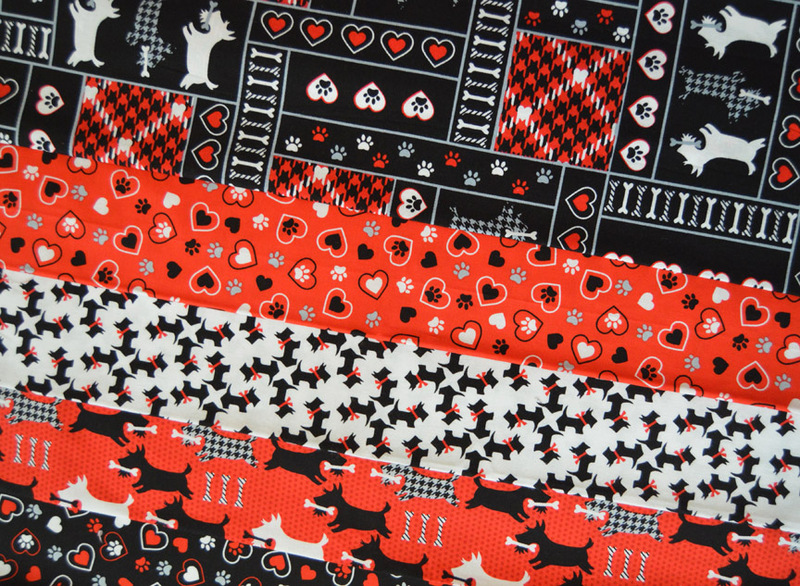 Sooo glad Kanvas Studios is bringing out more Scottie fabrics!! Love them. Already ordered a layer cake, but with the free pattern you provided (nice and easy!) I'll have to order yardage now :-) Thanks! Just bought a layer cake! 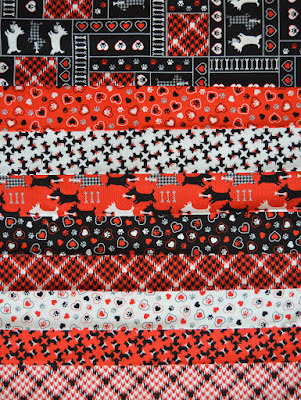 Can't wait to use it in a quilt for me. 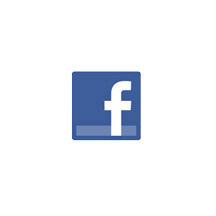 :) Love the pattern you created for it, too.